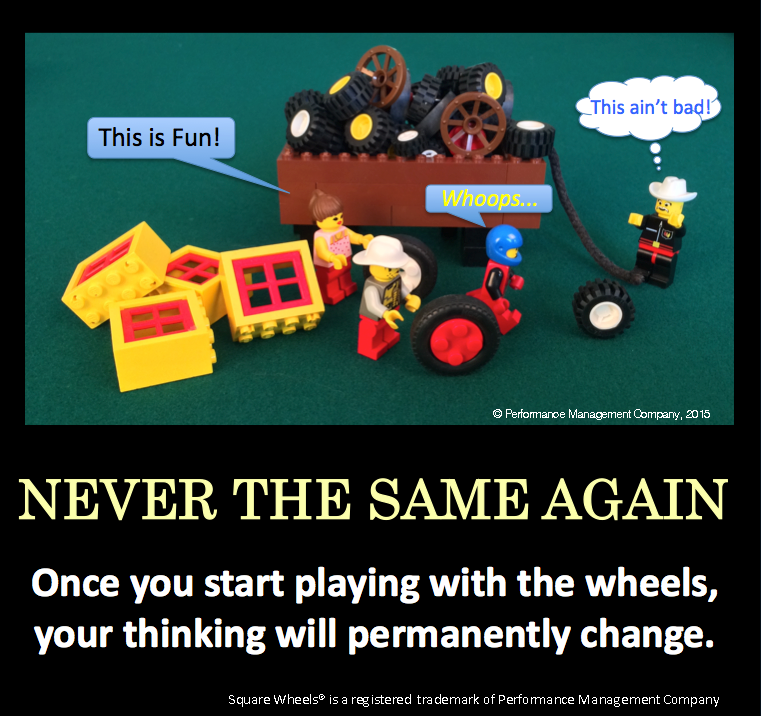 For the past 20 years, I have been playing with the theme of managing and leading change. One reality is that you cannot push change onto someone else. In that way, it is like empowerment — you cannot make someone empowered. All you can do is play with the environment and the awareness and the reality that it is the choices THEY make which influences the actual behavior. The rubric for my thinking is contained in a long and entertaining article I call, “Teaching the Caterpillar to Fly 2015.” I think that represents the paradox nicely, in that the potential for change exists in each of us, but we are often unaware of it or blind to the possibilities. Can the caterpillar actually choose to change? I think not. I think the driving forces mandate the metamorphosis… Anyway, you can capture that article by clicking on this link. The short version of all this, I can put into a single illustration of my thinking about how things really work when it comes to change. First, you have to stop pushing and pulling and step back from the wagon. Then, you need to play with ideas, which works especially well when you are playing with others and looking at things from different perspectives. Once you have identified new possibilities, the active ownership generated through the play is very helpful in generating some new actions and some commitment toward doing things differently, especially if there is peer support involved. We have chosen to put the Square Wheels (the way things were working) off to the side and the wagon up on blocks. We’ve offloaded a few round wheels, which represent new ideas and different thinking. And now, we can play with the round wheels, getting less uncomfortable with how they work and opening up our thinking about possibilities for change.